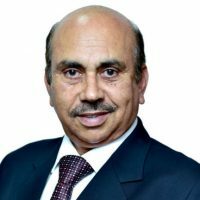 Mr. Sudhir Vaid began his career in 1975 as a biotechnologist and went on to work with several leading biotechnology companies in India and abroad, before eventually becoming an entrepreneur in the year 2000. Backed by 40 years of rich experience in Corporate ,R&D and Consultancy, Mr. Vaid has further expanded his knowledge horizons by working along with the leading global API companies in the area of Biotechnology encompassing Vitamins, Statins, Hormones and Antibiotics. As the driving force behind Concord Biotech Limited, Mr. Vaid has made the company grow by leaps and bounds, revolutionizing Concord from a single product company to a global leader in the area of fermentation based products. He has provided key strategic direction to the organization and has played a crucial role in building profitable alliances and strong and prestigious customer base for Concord. By recognizing and supporting the talent pool, he has instilled a positive work culture in Concord that is based on Quality, Cost and Deliverables. 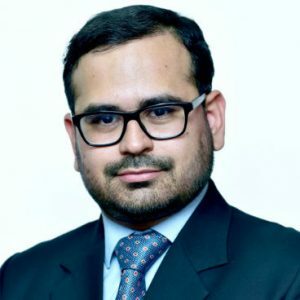 Mr. Ankur Vaid is a big influence in developing the R&D division, contributing to the market strategy and at the same time, spearheading the entire organization towards its goals and objectives. Mr. Vaid did his Masters in Finance after completing his graduation in Chemical Engineering. Playing a vital role in the promoter group, he has performed tremendously across various business verticals and brought about operational efficiencies thus providing a major boost to the growth of the company.